Successfully Added CCLOON Bluetooth Speaker - Yoga Stick, Bluetooth 4.2, EDR Technology, Built-In Mic, Hands Free Calls, 5000mAh, SD Card Support to your Shopping Cart. This CCLOON Bluetooth speaker is a remarkable gizmo that lets you enjoy your favorite songs while working out. The Bluetooth speaker has been built inside a high-end yoga stick. 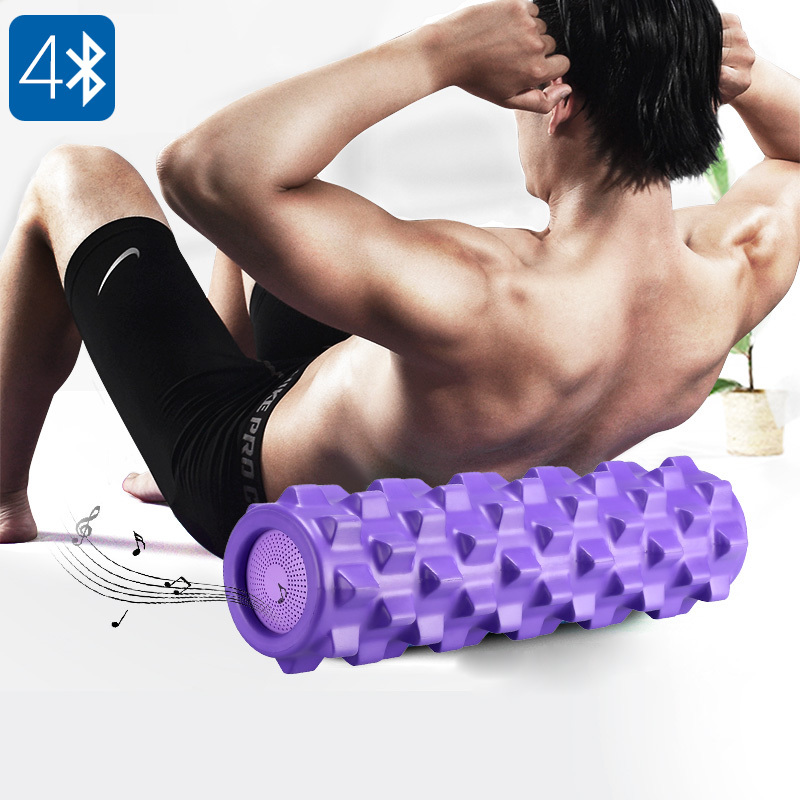 Thanks to this, you can massage your legs and practice your yoga exercises while listening to the songs of your liking. This beautiful Bluetooth speaker treats you to the perfect combination of sports and music. Thanks to its advanced Bluetooth 4.2 and EDR technology, it is compatible with all Bluetooth-enabled devices out there. This yoga stick features a stiff yet flexible outer body that makes it perfect to be used as a massage pillow. Besides letting you listen to your favorite tracks, it also allows you to engage in hands free phone calls thanks to its built-in microphone and speakers. With 32GB SD card support, you’ll even be able to use it without your smartphone by simply inserting the tracks of your liking. It comes with a massive 5000mAh battery that provides you with a whopping 12 hours of continuous usage time. This is enough to get through weeks’ worth of exercise without needing to recharge your Bluetooth speaker. If you’re looking for the ultimate sporting gadget, this CCLOON Bluetooth speaker is perfect for you. Listen to those all time classics while enjoying your upcoming yoga sessions. This yoga stick is guaranteed to treat you to ultimate relaxation. It comes with a 10m Bluetooth range and additionally supports FM radio. This Bluetooth speaker comes with a 12 months warranty, brought to you by the leader in electronic devices as well as wholesale wireless speakers..